You know a company offers good product when your children begs to use it. Alaina was so excited to get her very own units from Moving Beyond the Page that she wanted to start that very afternoon. Last summer we completed a couple of units for my older girls, so she was begging for one in her age range when we were offered a review from them again. 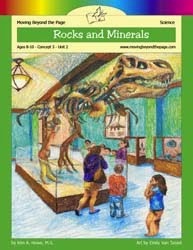 Rocks and Minerals~ This is a 78 page spiral book that includes the lesson instructions, worksheets, charts, quizzes and more. There are 6 lessons plus a final project covering Mineral Madness, Rocks Rock!, Fun with Rocks, Crystals, Volcanoes and Earthquakes, Fun with Fossils, and a Final Project. Each lesson covers 2 or 3 days to complete and a note to the parents on how to use the product is also included. Geology Rocks! ~ This is a 10X10 softcover book contains 96 pages divided into 10 sections. It discusses rocks, earthquakes, rock recordings, and more. There are 50 hands on activities to explore the earth. The Young Scientist Series Kit #3 ~ This contains 3 complete kits with multiple experiments. The three kits explore minerals, crystals, and fossils. We used the online language arts curriculum for Ben and Me. We received access to the curriculum, the book Ben and Me, and a Pocket Sled Kite Kit. This unit is recommended for ages 8-10 and is $29.12. 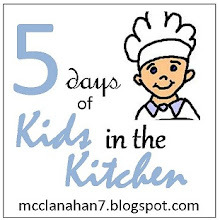 Ben and Me Online Curriculum~ This unit is divided into 10 lessons with a final project. It goes through the Ben and Me book and talks about Ben Franklin and the Colonies, Setting the Record Straight, Swimming, Electricity, Electrifying, War, France, Amos's Account, The Rescue, Back Home, and Final Project. 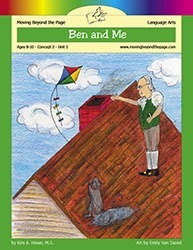 Ben and Me book by Robert Lawson~ This 125 page book tells us about Benjamin Franklin's life from his good friend Amos the mouse. Pocket Sled Kite Kit~ The kit includes everything you need to make your kite except scissors, ruler, tape, and paint or markers if you choose to decorate it. I used both units with 9 year old Alaina. I let her choose what she wanted to work on and she loved them both. I had her set up a 3 ring binder to keep her worksheets, notes, and journal pages in. The curriculum guides for both units are very easy to follow. I usually like to have a physical book for our school, but I actually like the online version better. 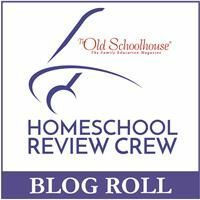 They are both set up the same way with an introduction for each lesson listing ideas, facts & definitions, skills, materials, and an introduction first, the activities are next, and then a conclusion. The online version has a getting ready section at the top of the page where you can see all the reading assignments, a summary of skills, activity sheets, question and answer sheets, and review sheets. They can all be printed at once or there is a link included in the lesson where you can print off one page at a time. We accessed the online curriculum from our iPad mini & it worked great. Once we were finished with a lesson it would have a line through the title, but we could go back if we needed to see a completed lesson. When your online unit has been purchased it will show up in your account. If the unit is not activated it will never expire. Once the unit is activated you will have 3 months to complete it. Here Alaina is checking properties of the rocks to determine which rock was which. She learned about hard and soft rocks, magnetic rocks, and more. Her favorite activity from both units was the Dinosaur Dig. 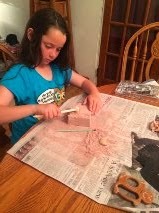 She became a paleontologist while she used the Dig A Dino T-Rex kit. I gave her the supplies and told her there was something inside. She already learned that she needed to be careful before she started chipping away the clay. She actually squealed when she uncovered a section of the bone. Moving Beyond the Page website is set up to make it very easy to order from. 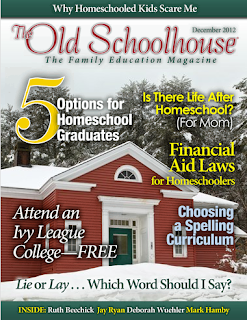 You can look at all the titles per subject, or by age. You may purchase each item individually or the entire curriculum package in all physical products or a mix of physical books and online curriculum. Members of the Schoolhouse Review Crew received several different Units from Moving Beyond the Page. 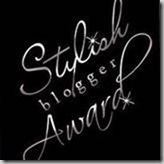 You can read those reviews on the Crew Blog.